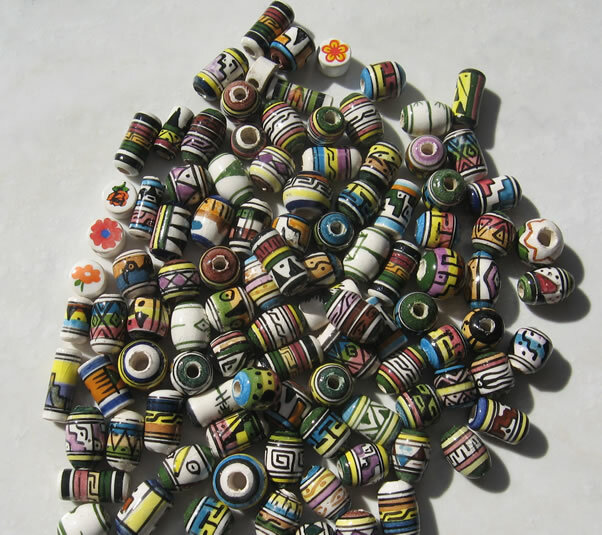 These beads are 100% Andean Peruvian handcraft. All have Geometric Inca design. 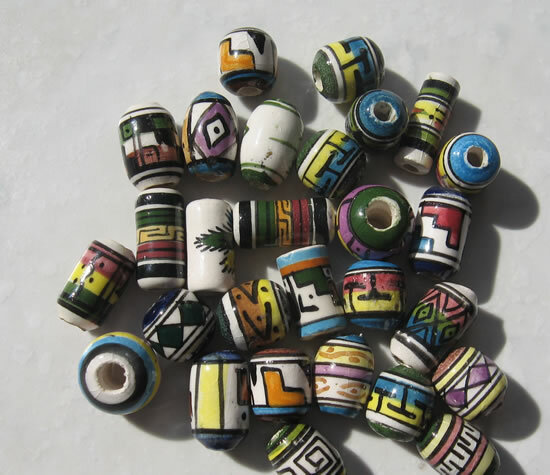 The beads are handmade, from the Andean clay, thereafter in the oven and finaly handpainted. Therefore there might be slight variation in the beads.